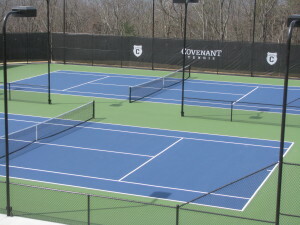 Covenant College’s NCAA Division III tennis team can now host home matches on campus, thanks to their brand new Laykold courts. The new 6-court complex was nearly 3 years in the works. The facility was designed by Ed Norton of Holcombe Norton Partner Architects. 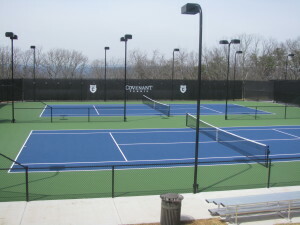 The Laykold surface was installed by Team Laykold partners Competition Athletic Surfaces, who also acted as GC on the project. 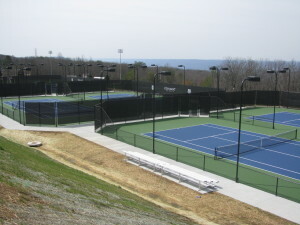 The site is perched on the western brow of Lookout Mountain and makes a beautiful setting for both playing and viewing tennis matches. Click here to read more about grand opening of the new facility.